People all along California’s Central Coast and throughout Paso Robles Wine Country will spend the day finalizing their tax forms and then making that mad dash to the post office in order to beat the deadline. Tax season is naturally a time of anxiety and pressure, so after weeks—if not months of working your way through receipts, pay stubs, and endless forms, you’re likely ready for a glass of wine. If you’re a member of The Paso Robles Wine Club, this would be the perfect time to grab a bottle from your latest shipment and pop the cork. 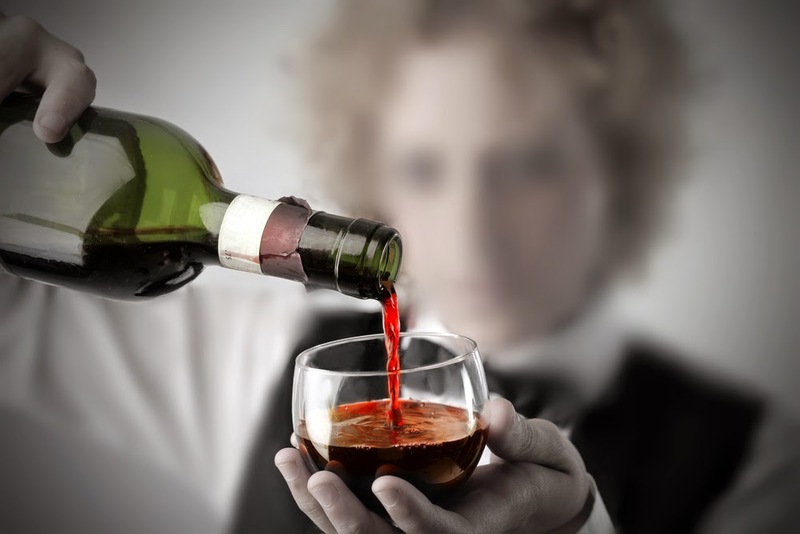 If not, read on for our recommendations on the best wines to pour, depending on your status. Getting a Refund: Of course you have every intention of tucking away your windfall for a rainy day, but on your way to the bank, why not stop off and pick up a bottle of bubbles to celebrate? No celebration is complete without that telltale pop of the cork and spray of foam that only comes from a bottle of bubbles. There are a handful of wineries on the Central Coast that produce sparkling wines, including Laetitia Vineyards and Cellars, Cass Winery, Chronic Cellars and Domaine Le Mieux. Any one of these would pair perfectly with a tax refund. Filing an Extension: Still have far too many receipts to sort through and forms to fill out? Aside from needing an extension, you need a little time to relax and ground yourself, so pour yourself a glass of Merlot—and grab the chocolate covered nuts. The earthiness of the nuts and chocolate are the perfect match for Merlot’s big berry, fruit forward profile and the soft tannins will play expertly with the chocolate. Plus, the chocolate will flood your brain with natural feel good endorphins—exactly what you need after all the stress of taxes. Owing Money to the IRS: Go for your favorite red. Wine—especially red wine—is full of antioxidants and flavonoids, most notably, Resveratrol, which increases HDL (the good cholesterol), protects the arteries, lowers blood pressure and lowers the risk of heart attack—all beneficial in countering the blues you’ll feel when you're writing that check to the IRS. When Benjamin Franklin quipped the now famous, “Nothing in this world can be said to be certain, except death and taxes,” it was centuries before the government ratified the 16th Amendment and made taxes inevitable. While we can’t avoid them, we can certainly make tax season more palatable by pouring ourselves a glass of wine. Cheers! For me, a glass of Merlot is welcome at any time, whether you are celebrating a refund or drowning your sorrows. What I do is set the mood with candles and some nice ambient music. Then it's a light quaffable Merlot or a Gamay, with a blood rare fillet steak and a side salad. For extra pleasure keep a second bottle on hand and eat alone. My favorite way to de-stress from filing my taxes is to have a tender medium rare steak right off the grill with a full bodied glass of Australian shiraz. The grilled steak enhances the wine allowing you to experience flavors and smells ranging from licorice to pepper and allspice. It is a food and wine pair to appreciate!